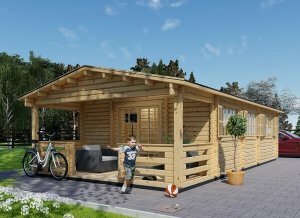 The stunning Alex 20 x 20 log cabin will amaze you with its big windows for natural light and large open floor space with high versatility. If you prefer three rooms to two that is easily arranged. 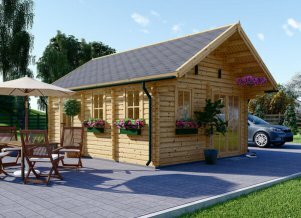 Whether this is a guesthouse, business, or relaxing summerhouse, the Alex log cabin will meet your needs to perfection. 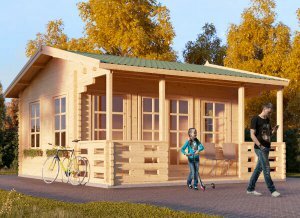 For dreamy days on the veranda or quiet nights watching the stars, this log cabin is the obvious choice. 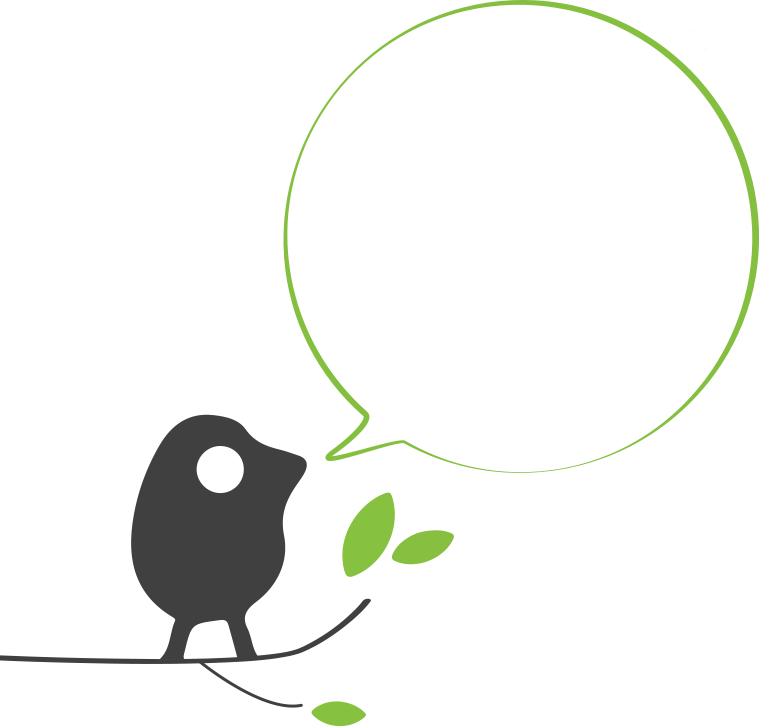 Even with its sheer size there is no compromise on true quality. 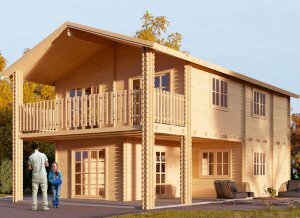 Scandinavian slow grown wood is used throughout the Alex log cabin for high performance offering deep 2.4” roof joists. The ridge height allows for the addition of a mezzanine floor for extra storage or sleeping space. 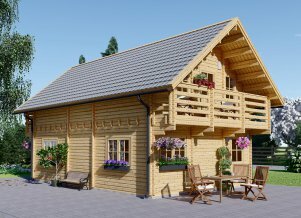 With a 10-year anti-rot guarantee you can rest assured that your timber will look tremendous for years to come. 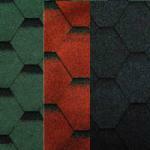 Add our roof shingles in your choice of three colors for added protection and personality. External dimensions (width x depth) 19'6" x 19'6" + 6'3"
Internal dimensions (width x depth) 18'8" x 18'8" + 6'3"